Over the course of the past year, activism has erupted around topics that have slowly but steadily been creeping into the public consciousness. 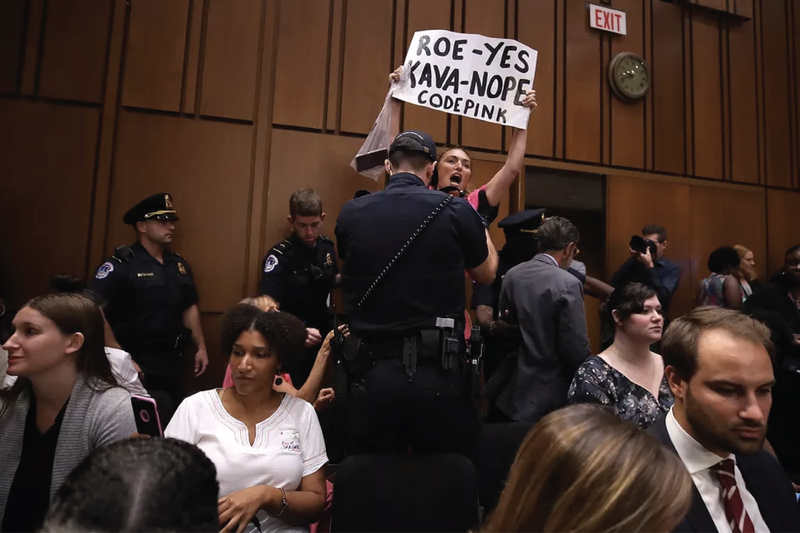 In the era of activism surrounding the #MeToo movement and Black Lives Matter, hearings—as well as the absence of them—have been permeating the news. Trials and convictions for the shooting of unarmed black men and women, as well as those for cases of sexual harassment and assault, have been both present (in frequency) and elusive (in the follow through). Notably, most recently, and what sparked my curiosity about the word “hearing,” has been the four-day Senate Judiciary Committee confirmation hearings for Brett Kavanaugh, the slated replacement for Justice Anthony Kennedy on the United States Supreme Court. It is clear from these definitions that the verb “hear” is not just a general awareness of sound. It is also referring to the perception and understanding of that sound, meaning the act of listening is intentional, not passive. When thinking about this definition in the context of the law today, and specifically in the context of Kavanaugh’s hearings, one must question whether this definition is truly applicable. Listening with the intent to understand does not seem to be a skill in the wheelhouse of many of our politicians. White House officials and Republican Senators alike have withheld hundreds of thousands of documents about Kavanaugh’s record; conversely, confidential documents have been leaked anonymously. Kavanaugh is supported by conservative Republicans almost exclusively, and opposed by Democrats almost exclusively. The Republican agenda to push him through to confirmation seems to be motivated not by a willingness to truly listen to the arguments of those who may suffer with another conservative judge on the bench (due to his stance on Roe v. Wade or his definition of birth control, for example)—ironically, in this regard, these politicians have turned a deaf ear. This entry was posted in Current Articles, Word of the Month by Sarah Baker. Bookmark the permalink.